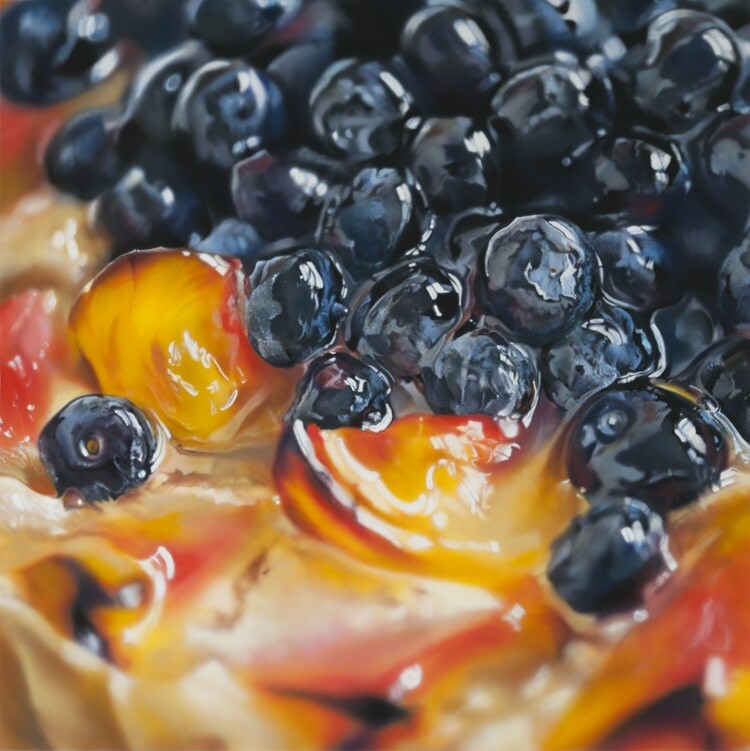 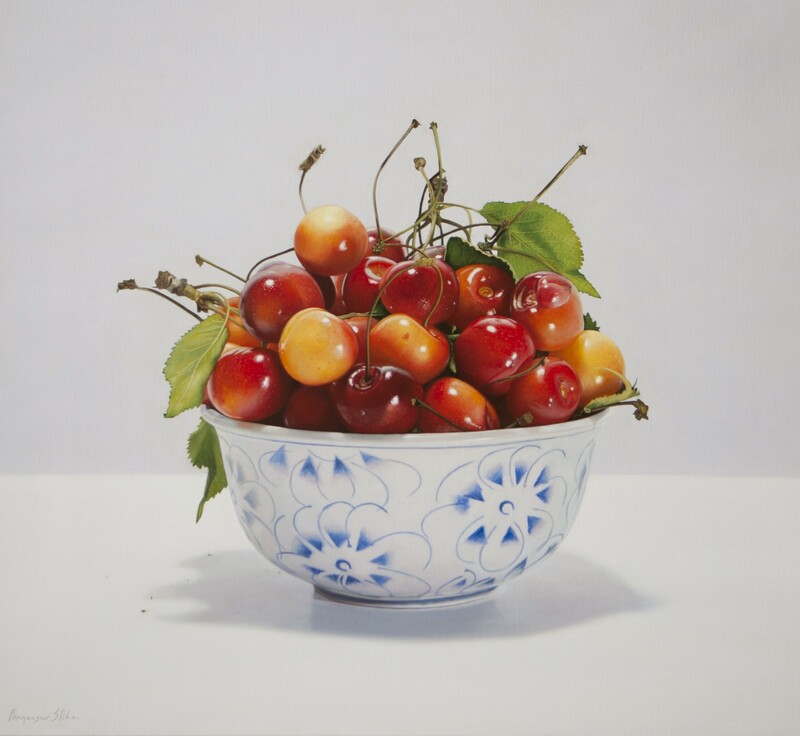 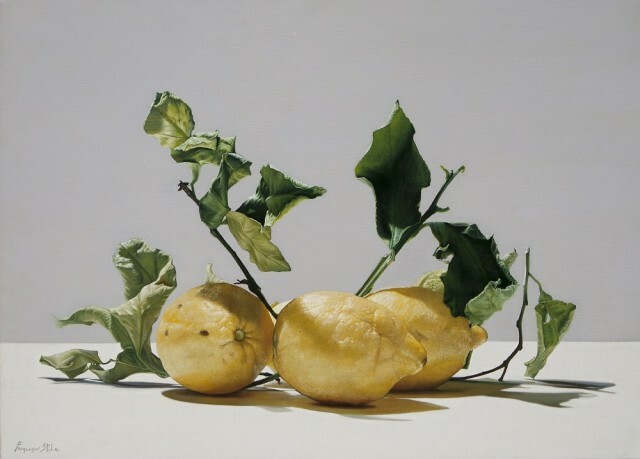 Summer Treats is a celebration of the freshness that we all love about these months of the year and the beauty that hyperrealism can expose in the everyday. 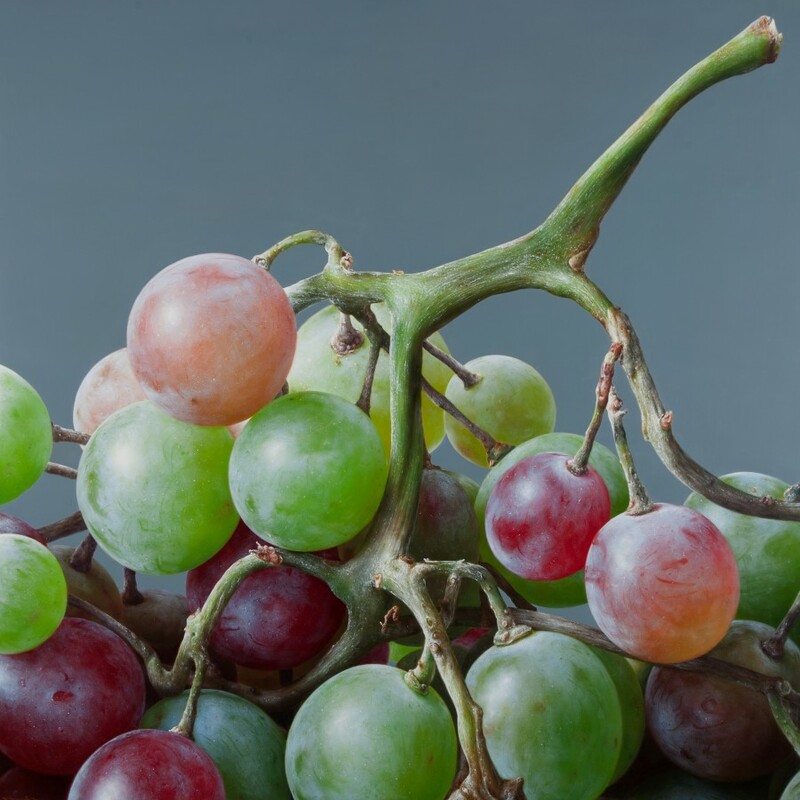 Grapes, plums and raspberries are put under a microscope, their details blown up to create monumental, bold and indulgent paintings that celebrate life. 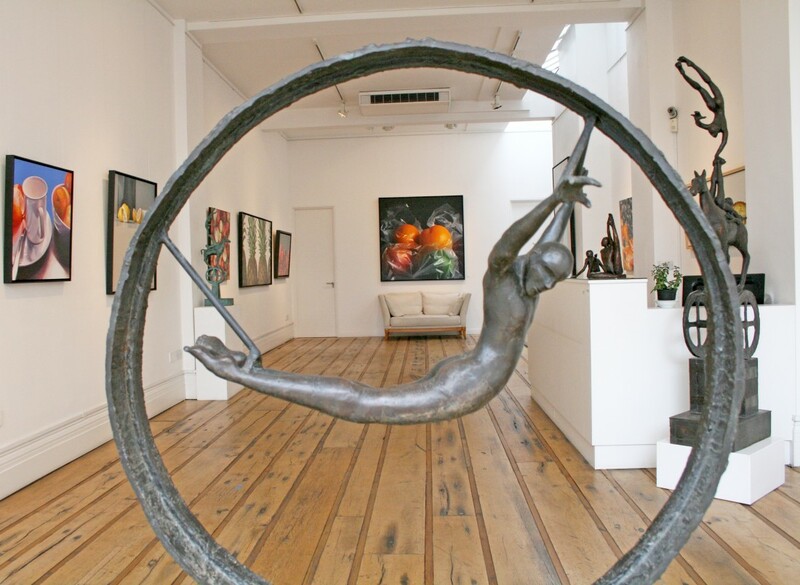 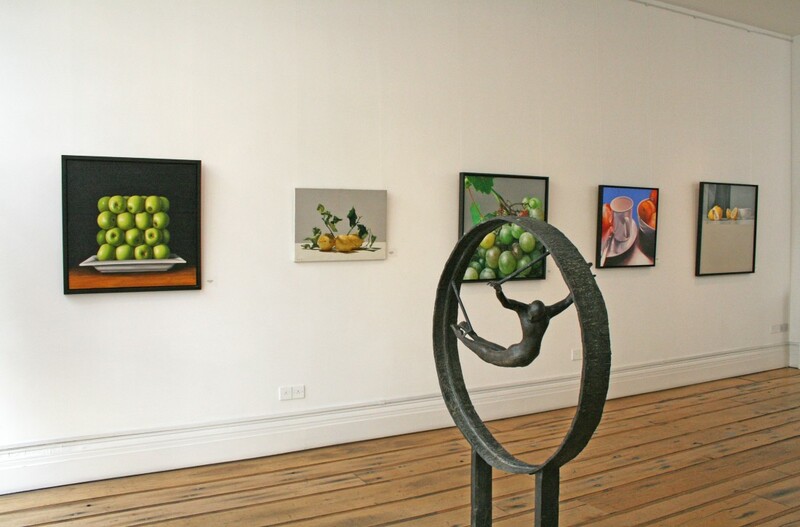 The gallery filled with works by artist such as Antonia Castello, Pedro Campos, Antonia Williams, Ben Schonzeit, James Del Grosso and Francesco Stile, freezes time and manipulates the way we see. 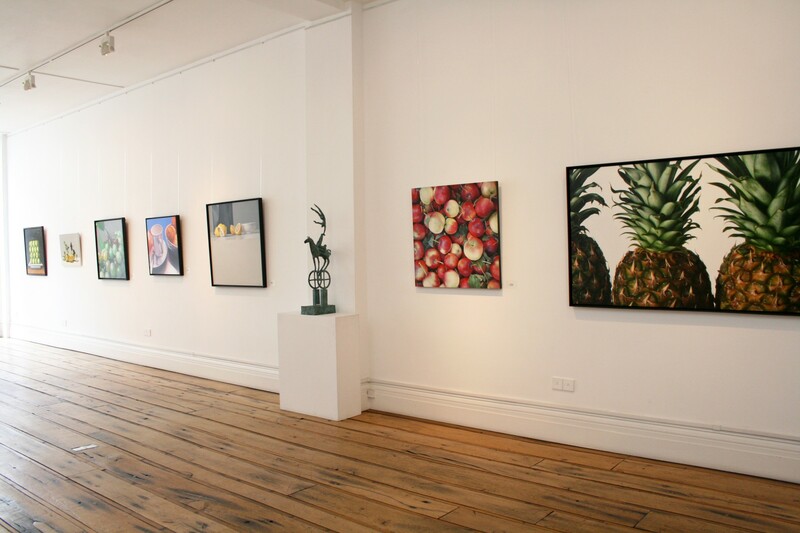 Join us and be engulfed by gigantic pineapples, pears and apples bigger than you! 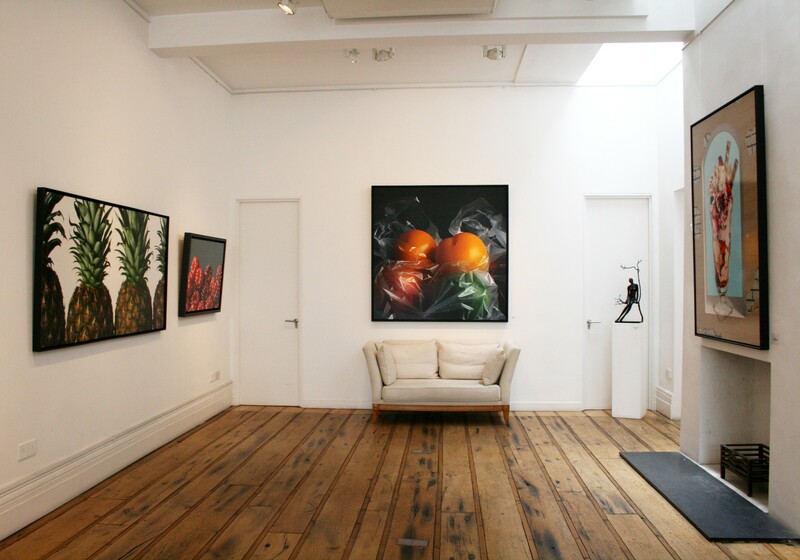 Take a quiet moment away from the busy urban landscape of London and be stopped by the magnitude of these paintings that are graphic, modern and have a powerful presence. 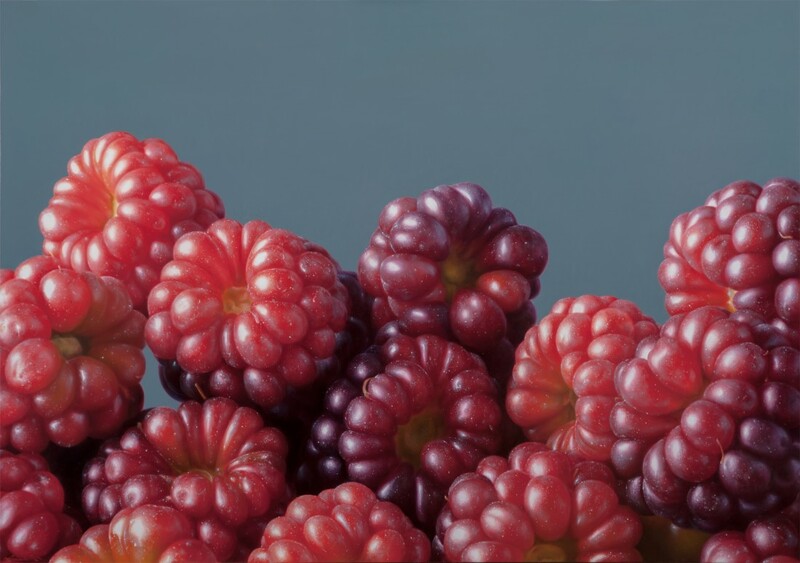 Re-perceive the graphic nature of Antonio Castello's larger than life raspberries in the height of ripeness. 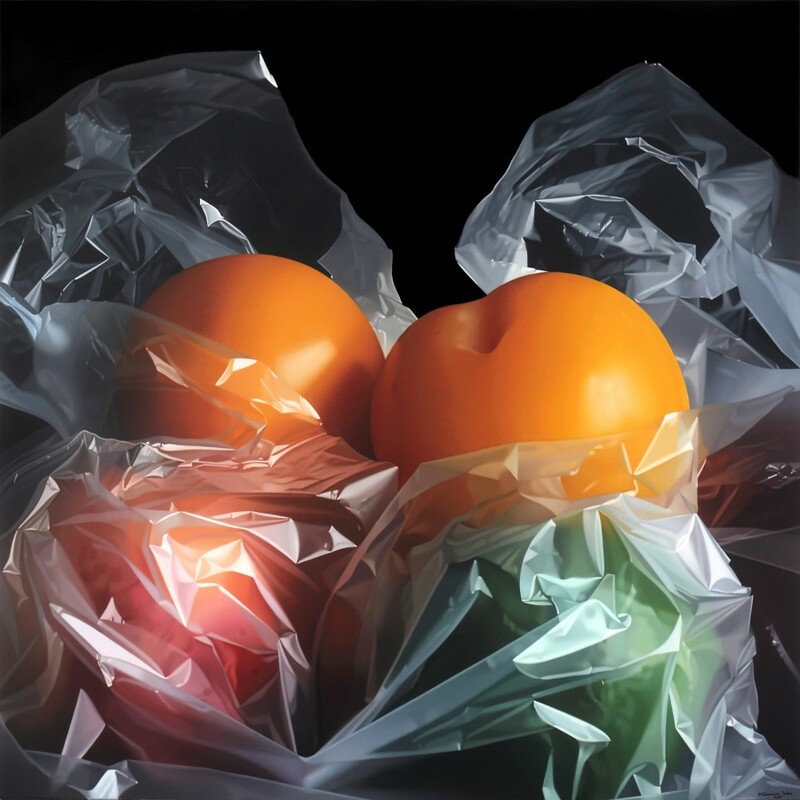 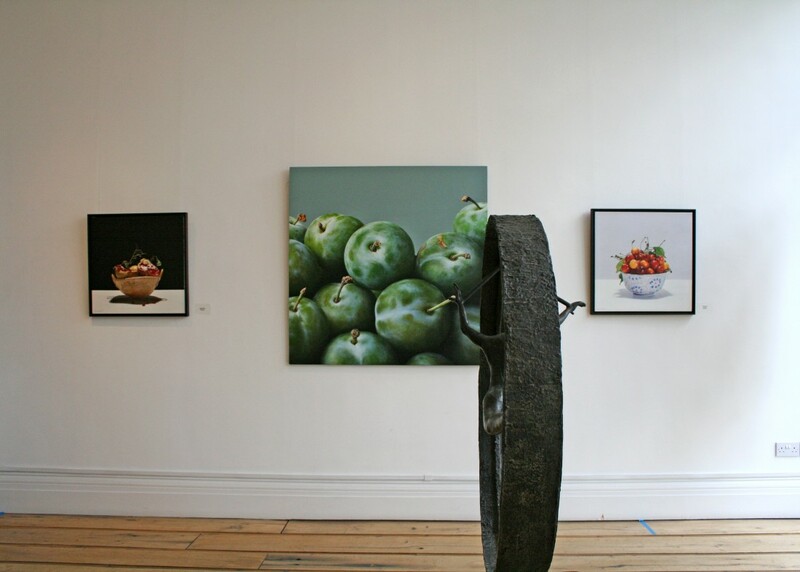 Discover bold apples through Pedro Campos' exploration of texture and transparency of his plastic bags. 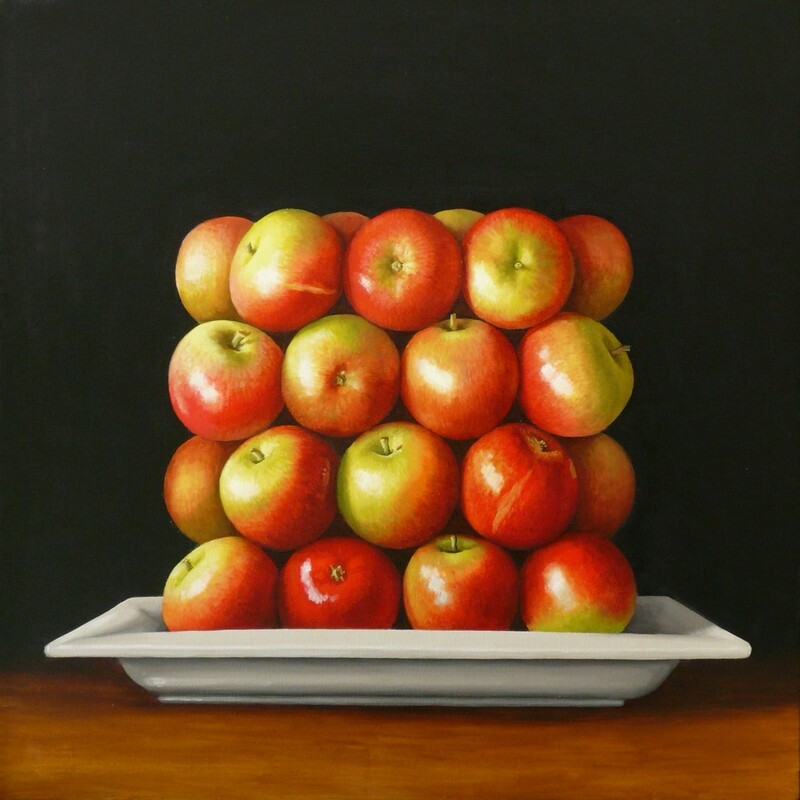 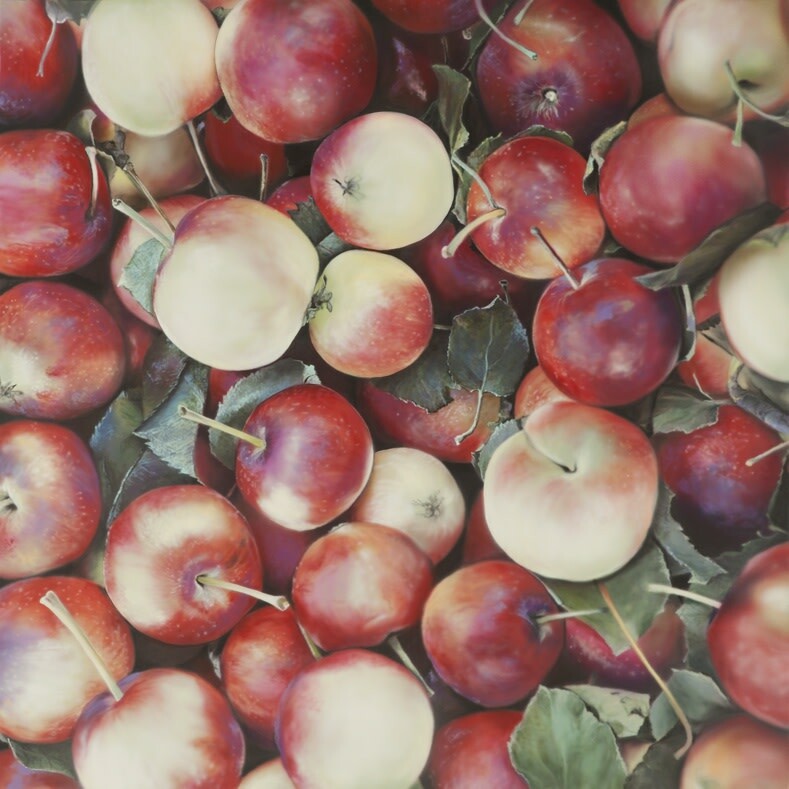 Experience the untraditional and impossible with Antonia William's surreal square apples. 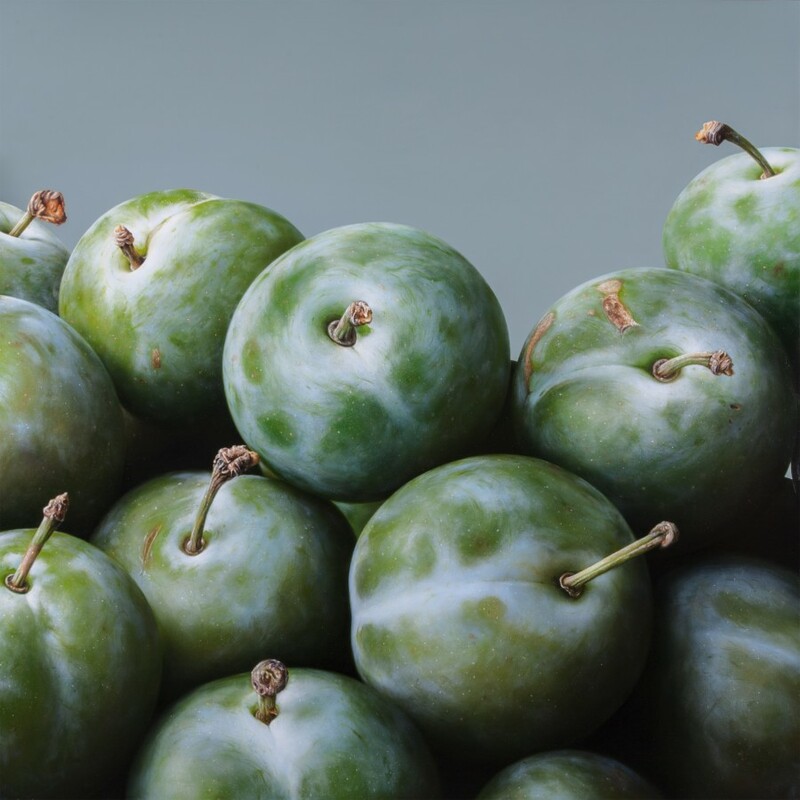 Feed the eyes with Ben Schonzeit's scaled up peaches that look good enough to eat. 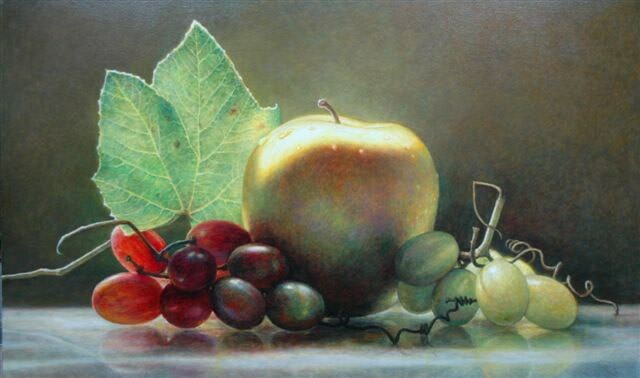 Be seduced by James Del Grosso's soft and delicate pears and grapes bathed in light. 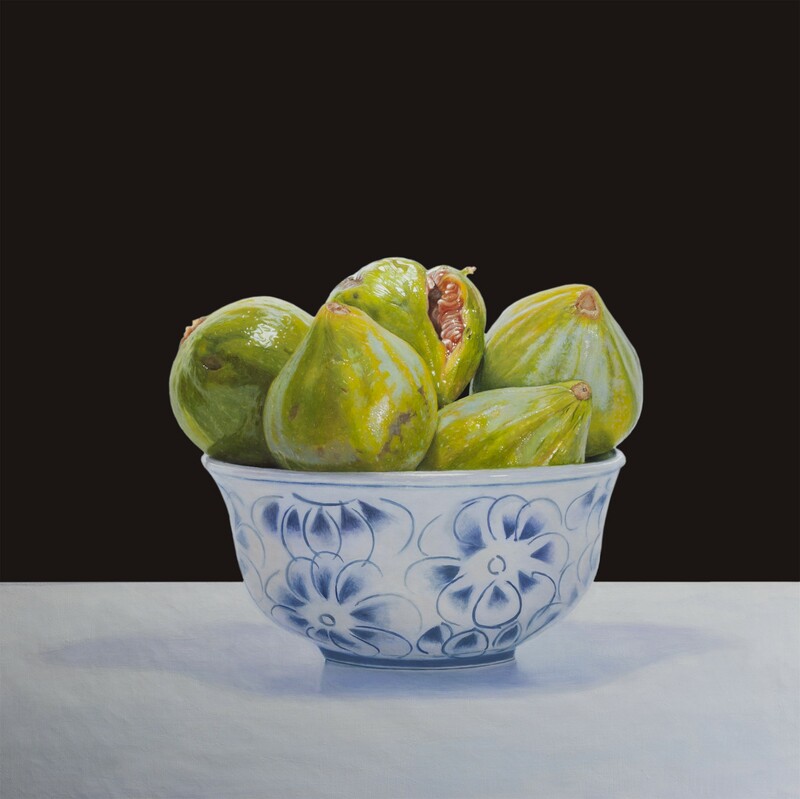 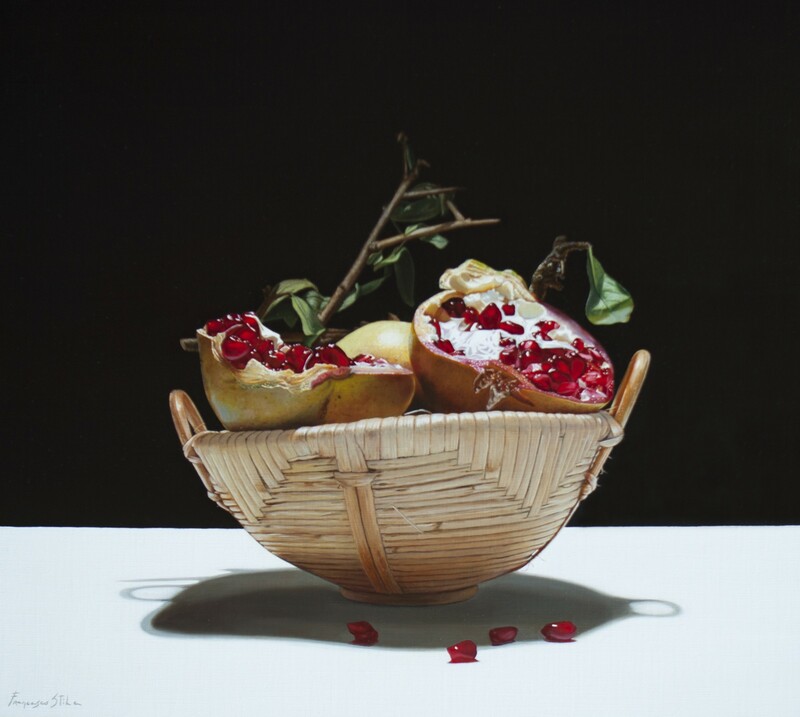 Study the timeless beauty of Francisco Stile's simple classic figs.